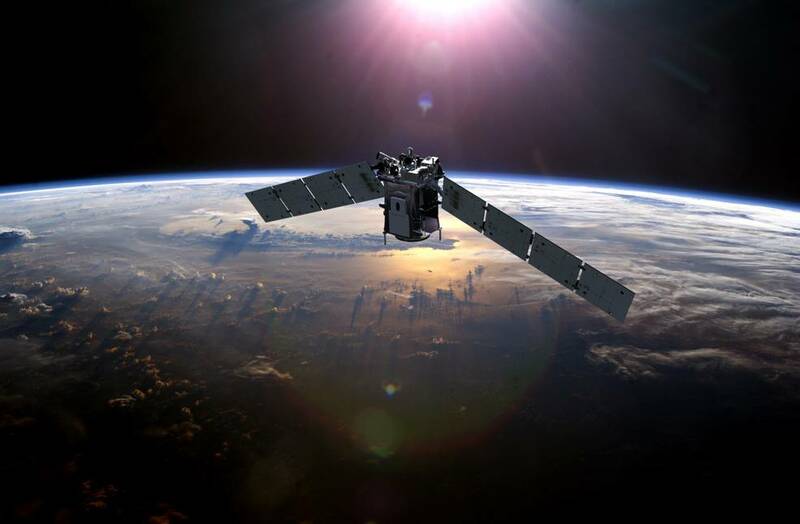 December 11, 2016 – NASA’s Thermosphere, Ionosphere, Mesosphere Energetics and Dynamics (TIMED) mission has spent 15 years observing the dynamics of the upper regions of Earth’s atmosphere. 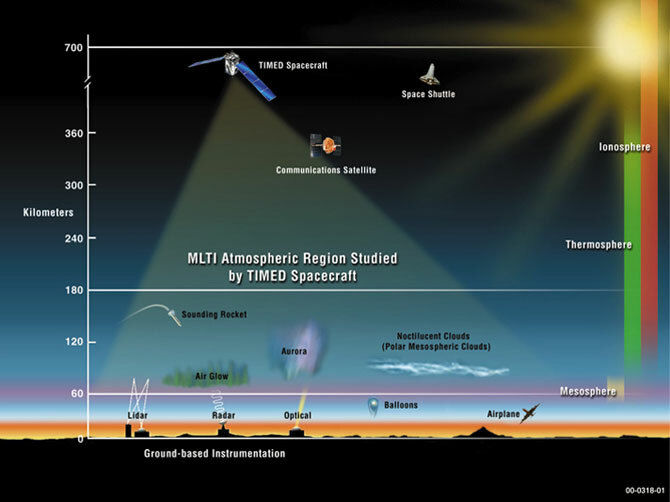 Since launching on a Delta II rocket on December 7, 2001, TIMED has studied a mysterious region in Earth’s atmosphere called the Mesosphere, Lower Thermosphere/Ionosphere, or MLTI. Located about 40–110 miles (60–80 kilometers) above the Earth, the MLTI is at the edge of space where air pressure is a thousand to a trillion times less than at sea level. Here, the atmosphere is just a tenuous wash of particles that reacts both to energy inputs from above – from changes in the space environment largely due to the sun – and forces from below, including terrestrial winds. TIMED’s 15 years of data has given scientists an unprecedented perspective on changes in the upper atmosphere. The long lifespan has allowed scientists to track the upper atmosphere’s response to both quick-changing conditions – like individual solar storms – throughout the sun’s 11-year activity cycle, as well as longer trends, like TIMED’s detection of unexpectedly fast increases in carbon dioxide in Earth’s upper atmosphere. Division within the Science Mission Directorate at NASA Headquarters in Washington. The Johns Hopkins University Applied Physics Laboratory in Laurel, Maryland, built and operates the spacecraft for NASA. The Solar Extreme ultraviolet Experiment (SEE) was built at the University of Colorado Boulder and continues to take daily measurements of the solar extreme ultraviolet (EUV) radiation. Tom Woods is the Principal Investigator for TIMED SEE.